There's something about Regina, maybe its the name, but the guys love playing there! And for good reason! The crowd were outstanding and the boys had way too much fun playing the show. With any luck DH will be much busier in the next bit so look for another show in Regina in the not too distant future. Hello friends! The guys are set to blow into town for a special show at the Distrikt Nightclub�in Regina Saskatchewan Thursday Oct 27th. 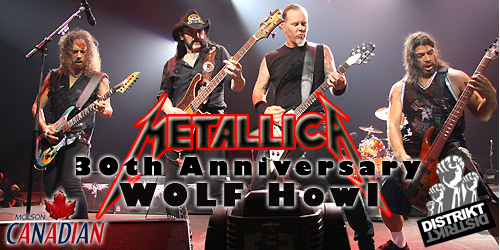 The guys will be playing to a VIP crowd that won tickets to the Metallica 30th Anniversary Wolf Howl. A few lucky guests will have a chance to win a trip to the Metallica 30th Anniversary Party at the Fillmore Auditorium in San Francisco! Be sure to tune into 104.9FM the Wolf at 7:40am, 11:40am and 4:40pm weekdays�in Regina for your chance to win tickets to this can't miss show! The show that was scheduled for June 4th in Calgary has been postponed. A new date is being worked on so stay tuned. The guys don't do a lot of shows in smaller towns, not as many as they should because this one was a blast! Great crowd, cool venue, look for more shows like this in the future. DH hasn't played the Calgary area for a while so why not go back there with two shows! The guys will be playing this Saturday May 14th just outside Calgary at Strathmore Ab at Cooter's Nightclub located at�960 Westridge Road. Showtime is set for 10:00pm so get there early to get your seat. The second show will be at Cowboys Taphouse Saturday June 4th. Cowboys Taphouse is located at 55 Castleridge Boulevard Northeast in Calgary Ab. Showtime is 10:00pm. Another new year, and what better way to start it off than with a show in Red Deer Ab. The crowd was AWESOME for this one and DH didn't disappoint, playing a set that won't soon be forgotten. 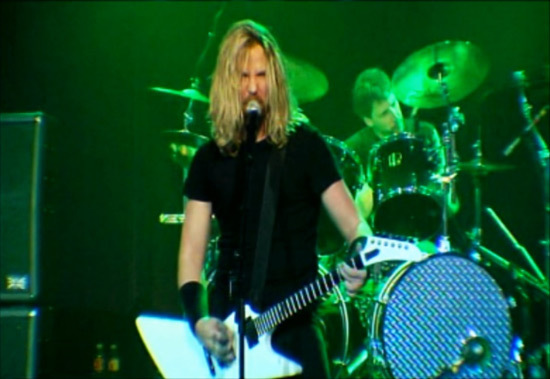 This one featured a BIG FOUR medley to commemorate the show in Indio California coming up April 23rd. 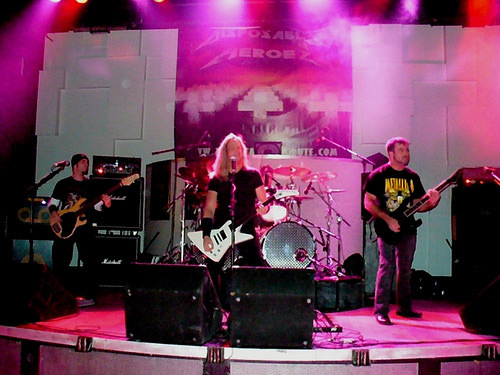 The medley featured tunes from founding thrash icons Megadeth, Slayer and Anthrax. Look for more of this in upcoming shows. Disposable Heroes will be playing LIVE in Red Deer Alberta Saturday February 12 at Wild Bill's, located in the North Hill Inn. This is the first show DH has played in Red Deer since their show in 2009 with Paul DiAnno, formerly of Iron Maiden. The boys have a few surprises in the works so do not miss this one. Contact the North Hill Inn or Wild Bill's for ticket information, 403-343-8800 or toll free 1-800-662-7152.